Kids will delight in learning about the formation of rivers, the water cycle, and the variety of habitats that exist along the length of a river in this introduction to the precious natural resource of rivers. All major rivers that run through the United States, Canada, and Mexico are discussed in regional chapters, including the Chattahoochee, Colorado, Columbia, Hudson, Mississippi, Missouri, Ohio, Rio Grande, and St. Lawrence Rivers as well as many others. Kids will discover how rivers have shaped our history and learn of the issues that are currently facing these important waterways. More than 30 fun-filled activities including "Build Your Own Dam," "Huckleberry Finn Log Raft," "Salmon Trap Game," and "Settling Sediment" are provided. 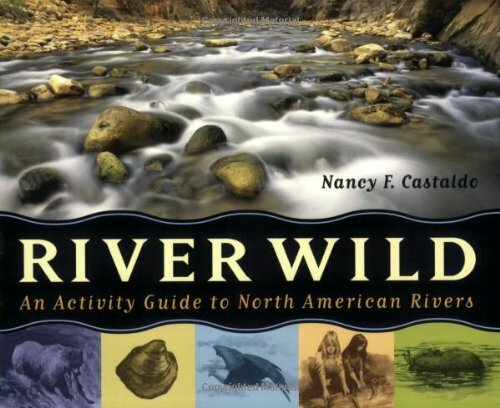 Sidebars on river keepers around the country, and a complete resource section listing books, videos, and websites complete this activity guide.